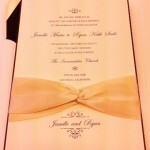 I recently designed and personalized the wedding invitation for my client’s wedding right in San Francisco. 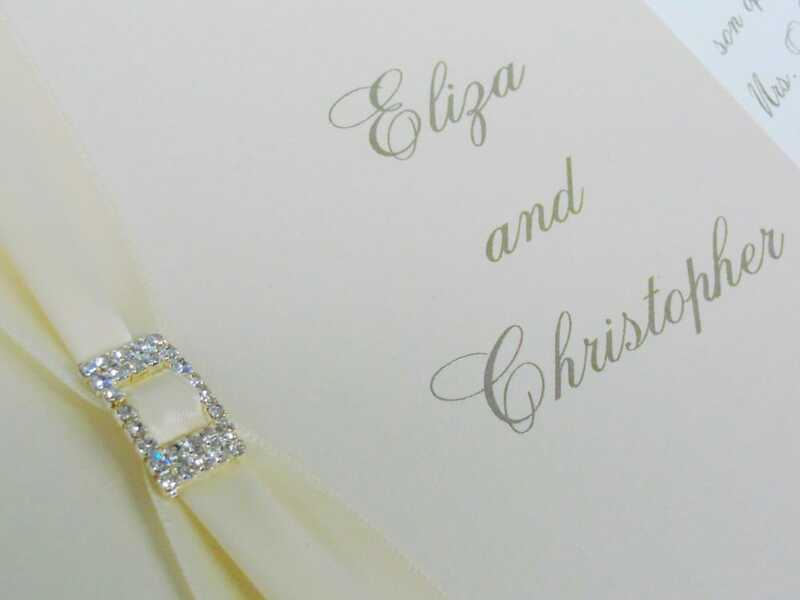 My couple chose this Luxury Wedding Invite from Natural Impression Design that has a brooch invitation jewel attached to the satin ribbon. 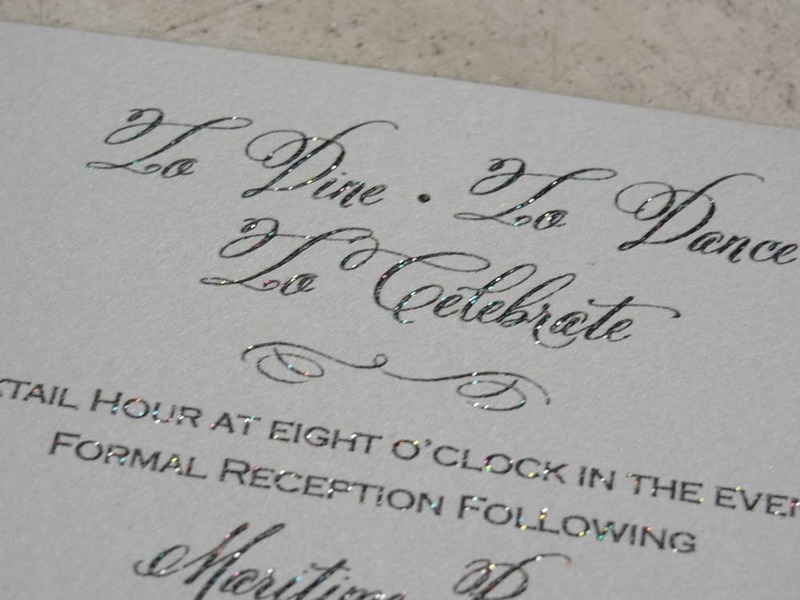 Another special feature of the wedding invite is the glitter thermography printing. 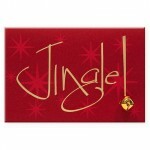 This adds a little bit of shine and glitz making a glamorous invitation setting the tone to a glitzy event.